CHICAGO -- Cards Against Humanity, the "party game for terrible people" based in Chicago, has purchased a plot of land on the Mexican border and retained an eminent domain law firm to block the construction of President Donald Trump's border wall. "Donald Trump is a preposterous golem who is afraid of Mexicans. He is so afraid that he wants to build a twenty-billion dollar wall that everyone knows will accomplish nothing. So we've purchased a plot of vacant land on the border and retained a law firm specializing in eminent domain to make it as time-consuming and expensive as possible for the wall to get built," the company wrote on their website. Cards Against Humanity purchased the land as part of their "Cards Against Humanity Saves America" holiday promotion. The holiday special costs $15 and features six "America-saving surprises" mailed to participants during the month of December. The first gift features an illustrated map of the border land purchased, a certificate of the company's promise to fight the wall, and "other surprises." "It's 2017, and the government is being run by a toilet. We have no choice: Cards Against Humanity is going to save America," the company wrote on their website. "It will be fun, it will be weird, and if you voted for Trump, you might want to sit this one out." 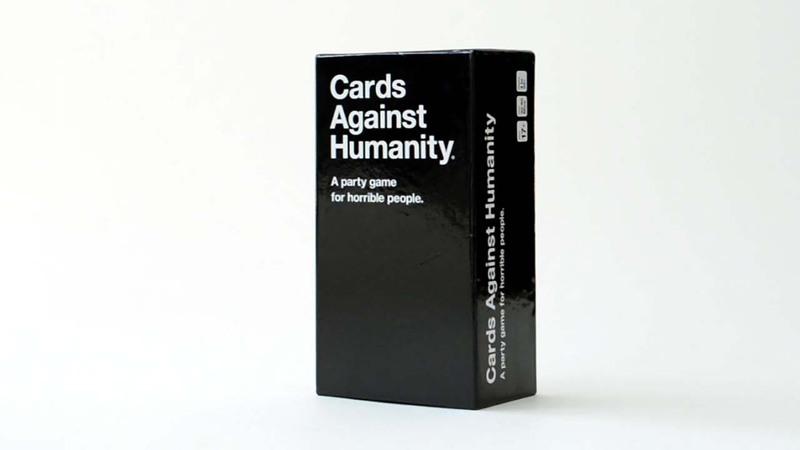 Cards Against Humanity has done holiday promotions in the past including "Cards Against Humanity's Eight Sensible Gifts for Hanukkah" and "Cards Against Humanity's Ten Days or Whatever of Kwanzaa."